This program was good at one time, but for the last year I have been completely frustrated with it. It is great to build the website, but now that the site is built it won’t transfer to Arvixe, which is suggested to use in place of Web Easy hosting. Same problem with Arvixe. I’ve been trying to get my site transferred for two months now through them and no luck yet. This is a significant problem as I have now probably lost my domain name and two months of paid service for a site that doesn’t exist. I have had Web Easy Pro 10 for a couple years now, with the intention to start a new website in place of an existing one that used a different software program. However, when I bought a new Win 10 computer last year, and got permission from Avanquest to transfer the software program from the old computer onto the new one without having to buy a new program, the software program suddenly got disconnected from the computer and it wouldn’t open, as if it had never been registered. I contacted Avanquest about it, and they said to just re-register it, which I did, and the program was fine again until later on in the month, in which it was disconnected AGAIN. This seems to happen when Win10 goes through it’s monthly updates. After going through that routine about 3 times, I gave up. Weird. The company didn’t have any other solutions when I called in about it. Isn’t there some update that’s been made to the software that will allow it to stay on my Win10 computer without getting disconnected and “unregistered” each month with the monthly Win10 updates? I can’t see myself trying to create and maintain a website with this program constantly getting unregistered each and every month, and I’d have to believe other people are having the same problem. What’s the solution Avanquest? I’m hoping someone will find a fix so I can confidently use it for the purpose I bought it for. Otherwise I’m going to have to go elsewhere to build a website and my purchase has been a waste. We have been using WebEasy for over 10 years and it has been fine for my pet sitting business. My husband started using it when WebEasy 9 was released for his tree cutting service and hasn’t changed a thing. The site brings in a lot of business. We just needed a simple website software solution to get our messages across, and nothing complicated like WordPress which he tried and gave up with trying to figure it out. I started with WebEasy 5 and got every upgrade and now we both use and share the same WebEasy 10 to save money. 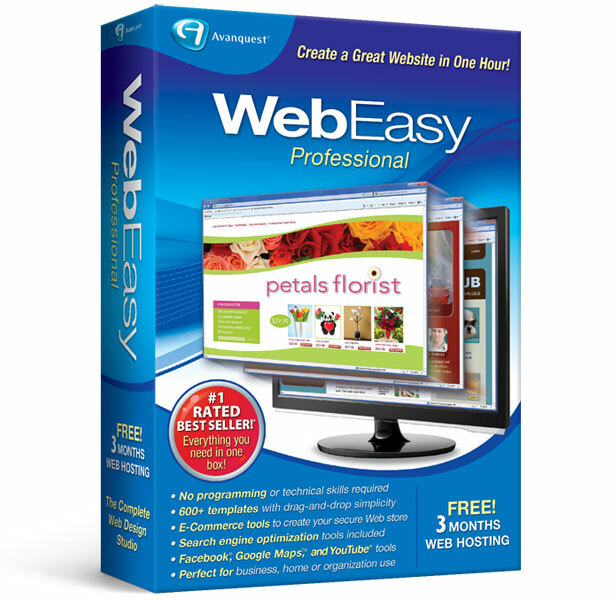 There was no reason to buy another version of WebEasy because it lets you build as many sites as you want which was a perfect for our situation.